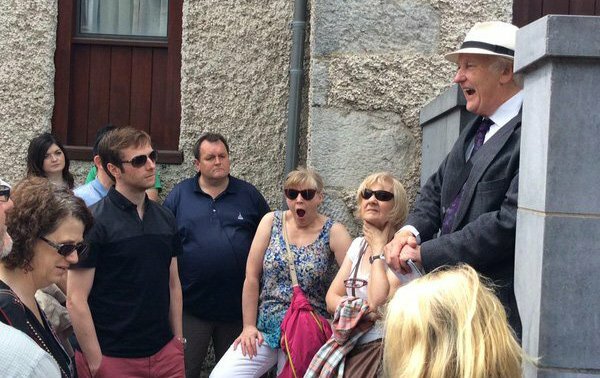 Enjoy a Pat Liddy Walking Tour for FREE with you purchase any one of the following tours; Hop on Hop off tour, Ghostbus tour, Glendalough & Powerscourt Gardens Tour or Malahide Castle & Howth Tour ticket and is usually worth €10. Some of Dublin’s hidden gems and exceptional features are inaccessible by bus but we at DoDublin would hate to see you miss out which is why we offer this informative walking tour for your benefit. The tour is two and a half hours in length ensuring you see the whole of the city and the places which may often be missed out on. From the scene of the rising that shook the nation in 1916 to Ireland’s oldest university see Dublin’s highlights as well as the hidden gems and get a few tips from your guide along the way. The Tour begins at Dublin Bus Head Office at 59 Upper O’Connell Street (Close to the Spire) from there the tour moves to the GPO and then up Henry Street towards the 1916 surrender site at Moore Street. The tour then moves to the Church bar and restaurant and then to the Italian corner before crossing the bridge into the Southside at Millennium Bridge. It then moves through Temple Bar where you’ll get a few tips from your guide on the places to be before heading to Dublin City Hall and then to Dublin Castle. The tour then takes you to The Creative Quarter before it comes to Grattan Parliament and ends at Trinity College, just a 10 minute walk back to the tours starting point at O’Connell Street. Ask your driver or our desk for tickets. Tours run from 11a.m. every day from April to October and on Mondays, Wednesdays, Fridays and Saturdays from March to November. 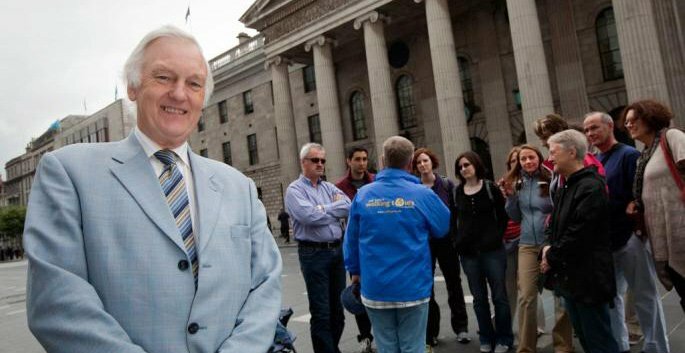 The founder of the walking tours Pat Liddy is a Dubliner through and through. He grew in Phibsborough in Dublin’s North Inner City. His love and passion for history and his city began and grew from an early age and strengthened over time. As well as being a terrific historian and tour guide Pat has also tried his hand at journalism and writing. He published a column in Irish newspaper the Irish Times as well as writing ten books! In 2005 Pat decided to share his great knowledge of the city with the public and founded Pat Liddy walking tours. In over 10 years Pat and his team guides have built up a lot of experience in guiding you around the city which is why it is the perfect way to get additional information on the city and the places where our buses can’t go. 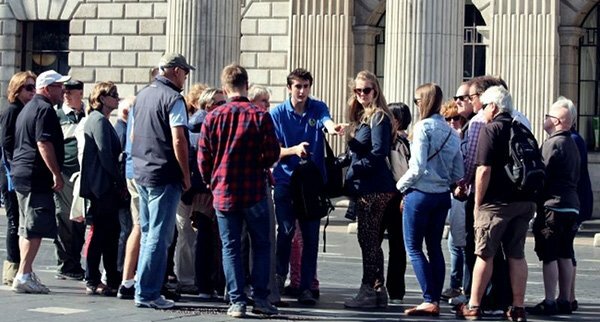 An experienced historian and writer Pat Liddy Walking Tours are the ideal way if you want to see more of Dublin after you’ve done your DoDublin tour.